edie kasten | very pretty hand knits. Each creation is a work of art made especially for you. To purchase a work of art or view more details of each piece, please visit the shop. Note re: items sold: If you see something you like but is no longer available, we can work together to recreate the elements you love. Contact us if you have any questions. 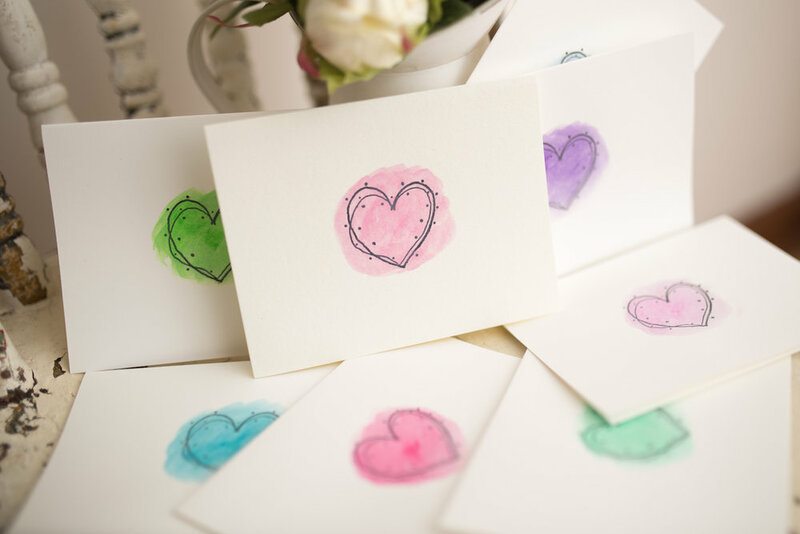 Select a beautiful watercolor card to add to your Edie Kasten Knits gift. These cute additions can be customized in color(s) to go with your gift for a complete package! Please note: each custom piece is made to order. If you see something you like but is no longer available, we can work together to recreate the elements you love. Contact us if you have any questions or submit the custom order form here and let's get started!